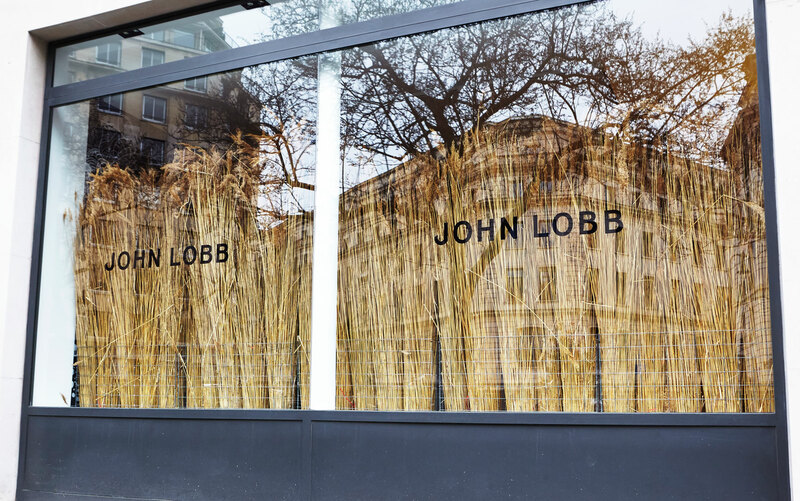 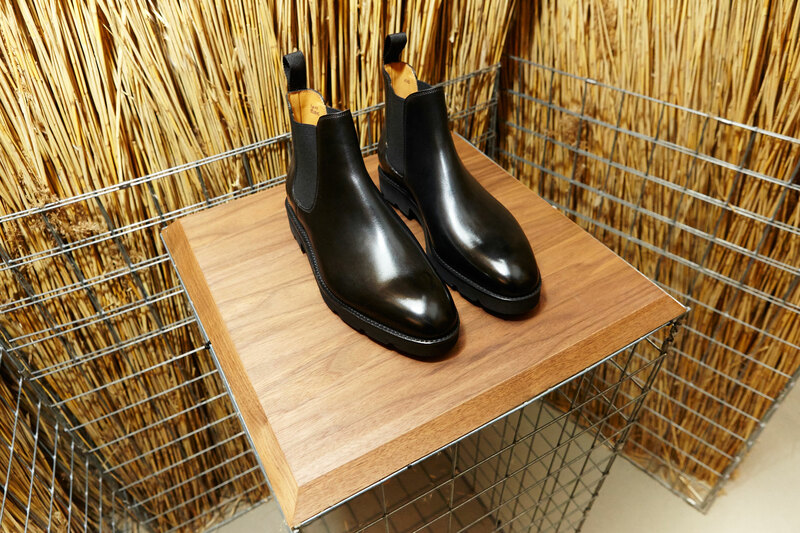 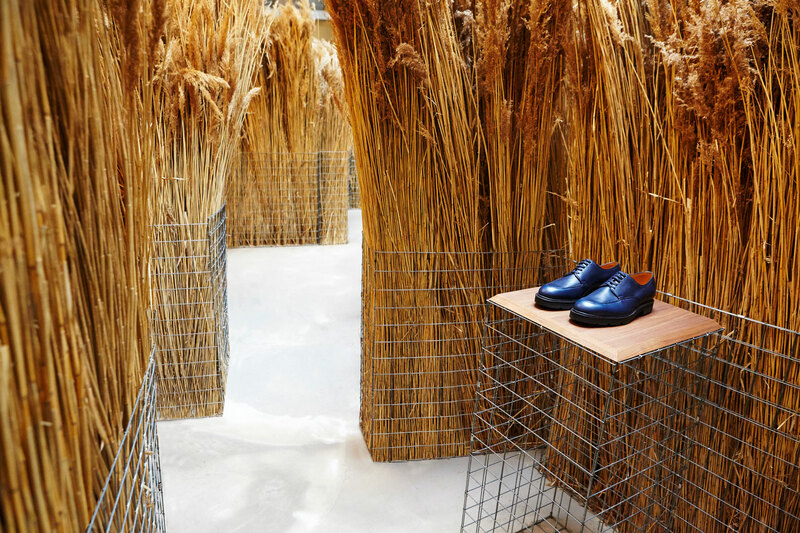 At the centre of the Parisian showroom stood a 4 meter evergreen Oak, a tribute to the naturalistic heritage of John Lobb and his founding steps through Cornwall in 1851. 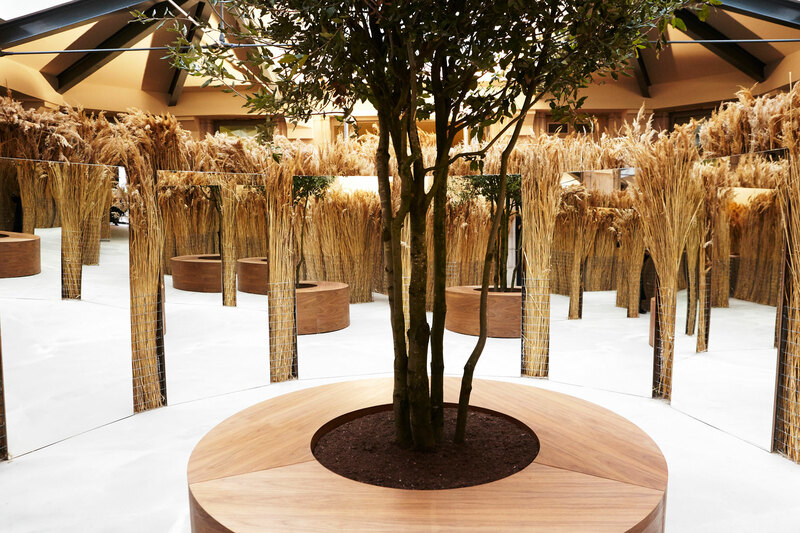 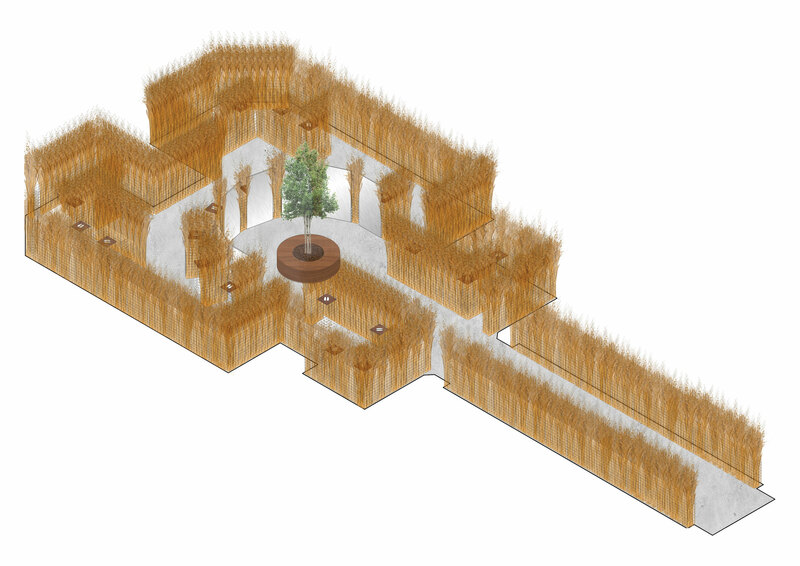 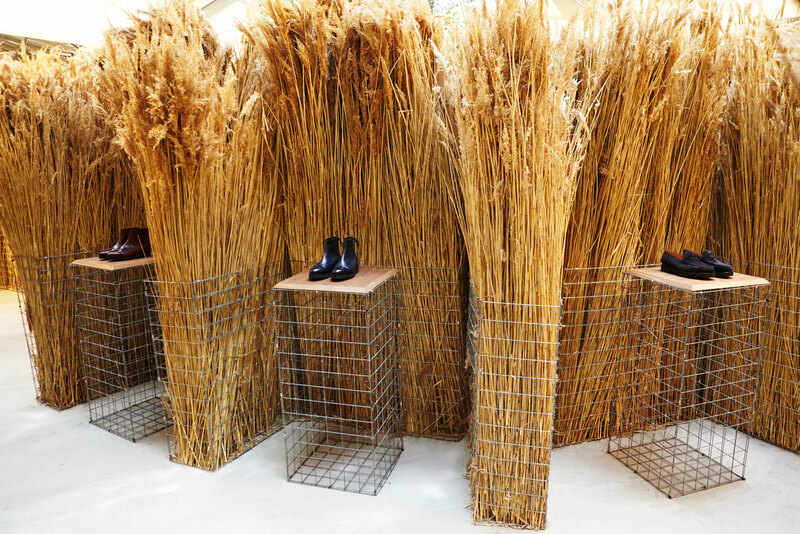 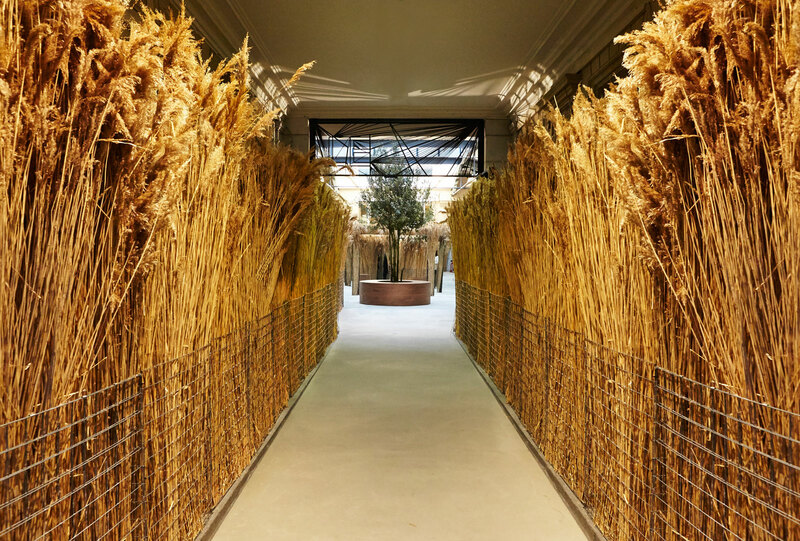 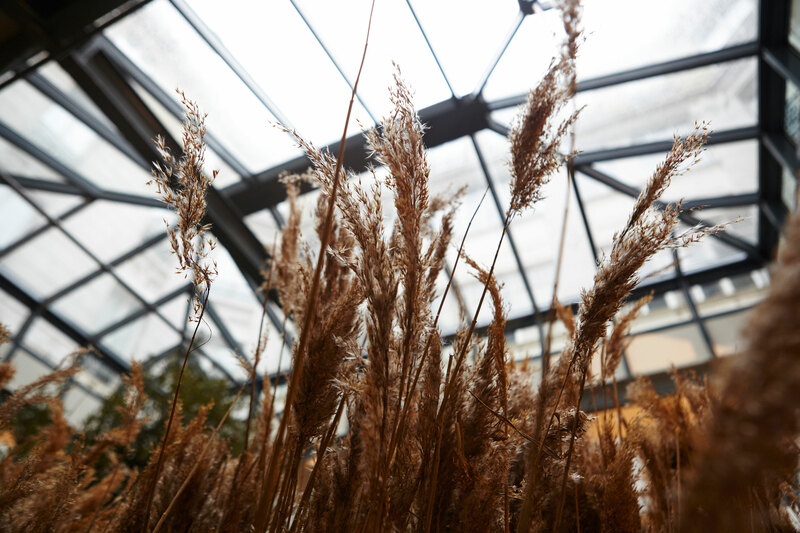 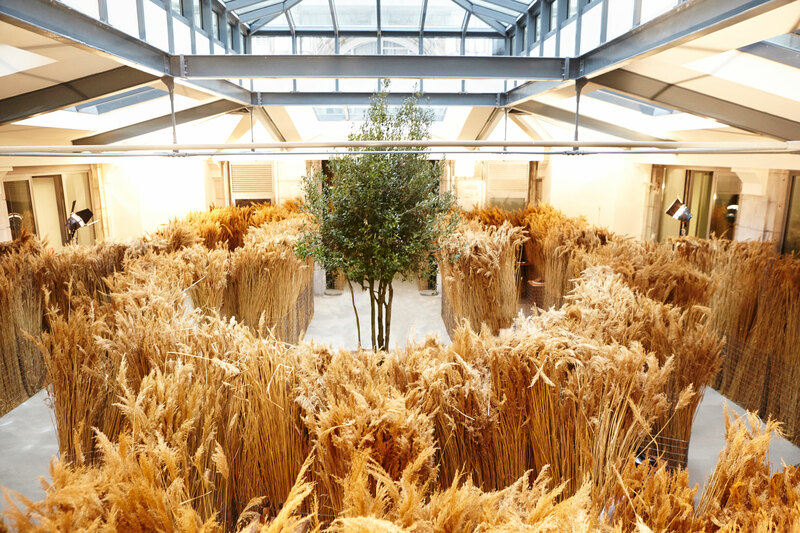 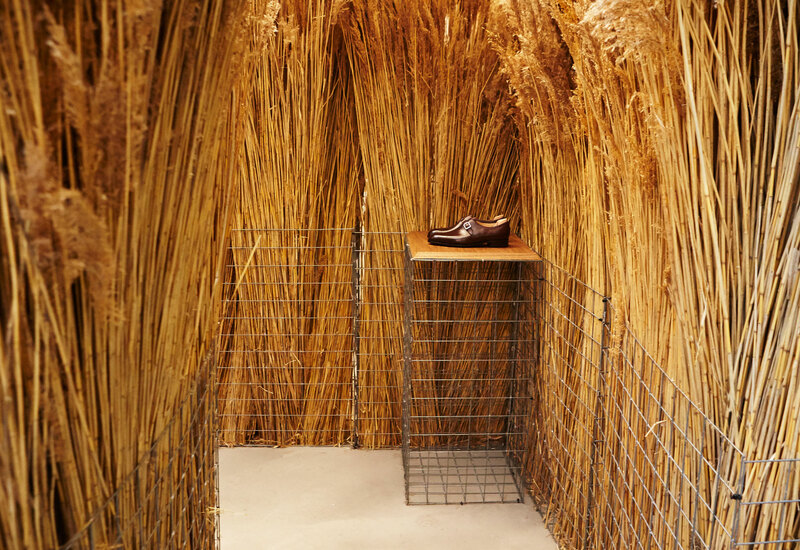 A graphical maze constructed of high standing reeds allowed for individual moments of discovery, taking guests on a sensory journey of smell, touch and sound through the AW18 collection. 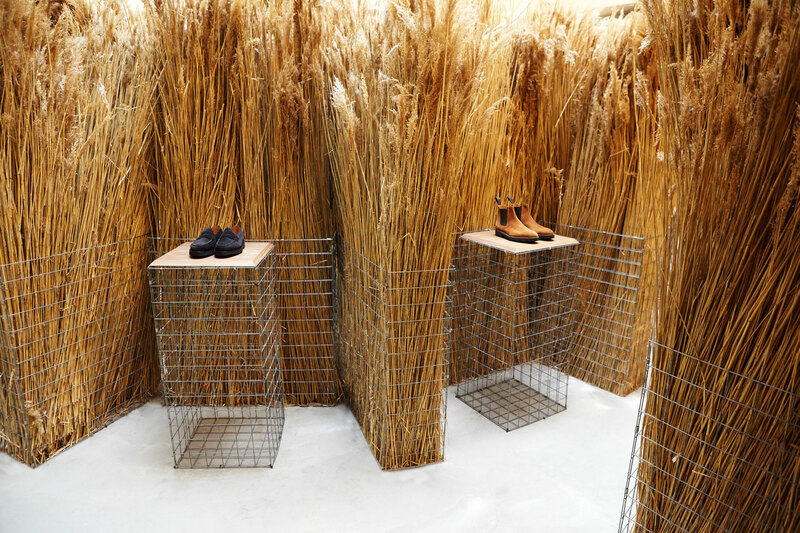 Artistic director Paula Gerbase's third women's collection sat along side the men's, exploring earthy tones and textures.